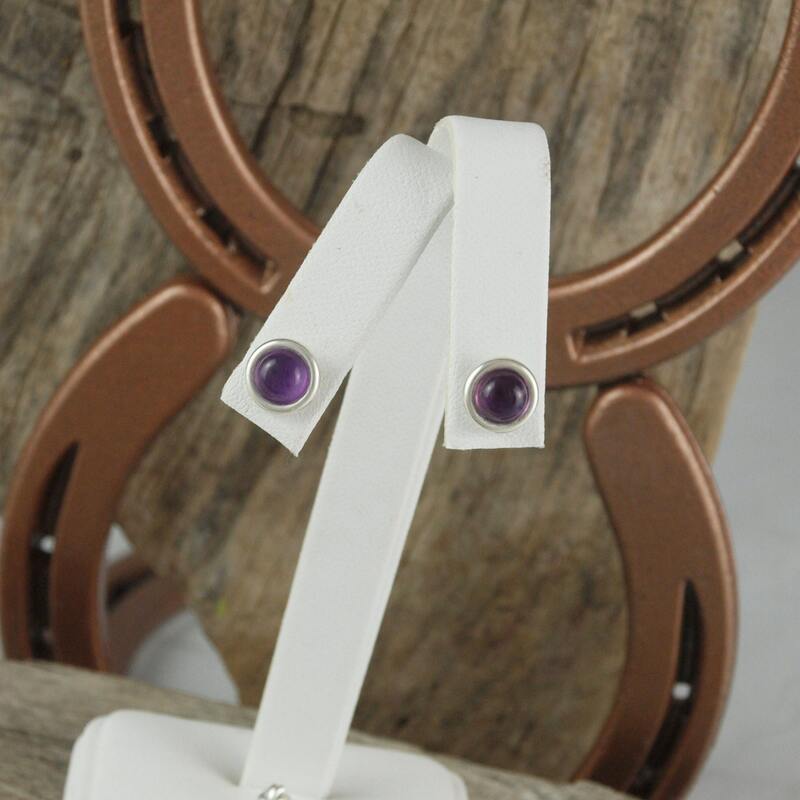 Silver Earrings - Amethyst Earrings - Statement Earrings - Stud Earrings - 6mm Natural Purple Amethyst Cabochons on Silver Posts: These stunning sterling silver post earrings feature two nature deep purple Amethyst stones. 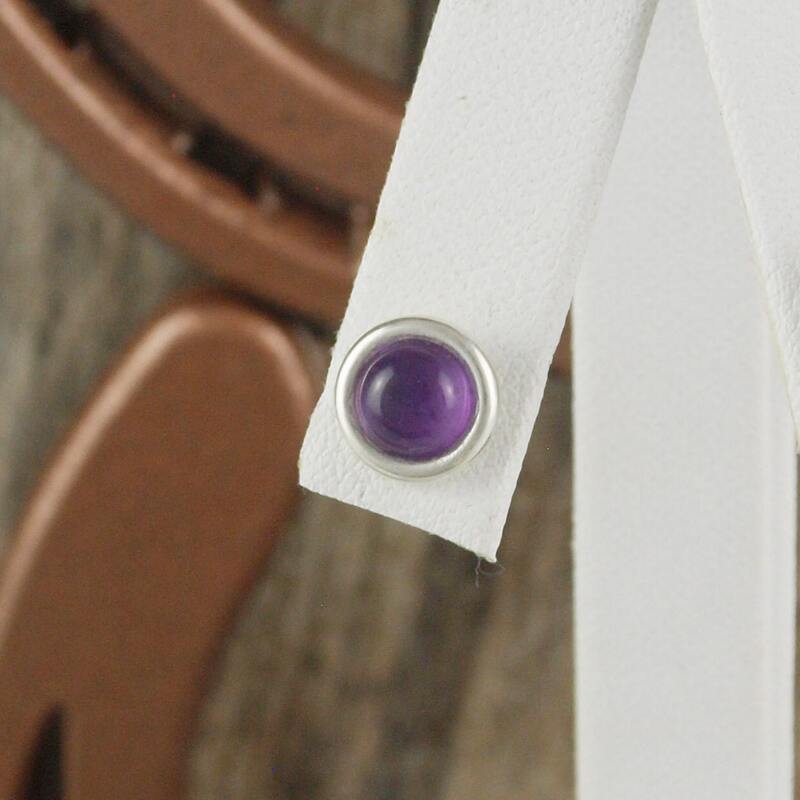 The Amethyst cabochons are both 6mm rounds. 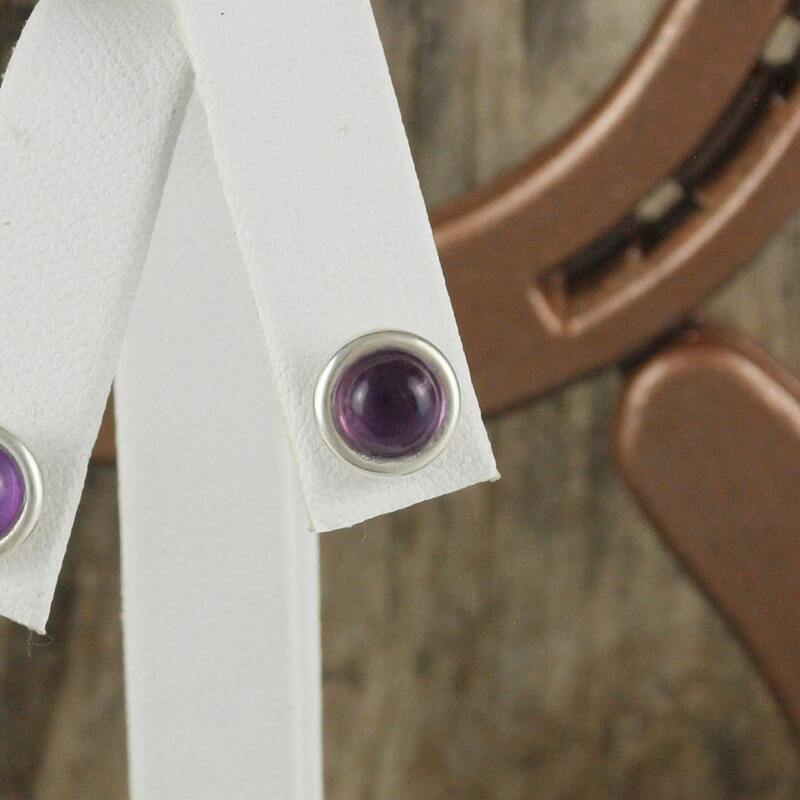 Both stones have that deep purple color that makes February's birthstone so sought after! 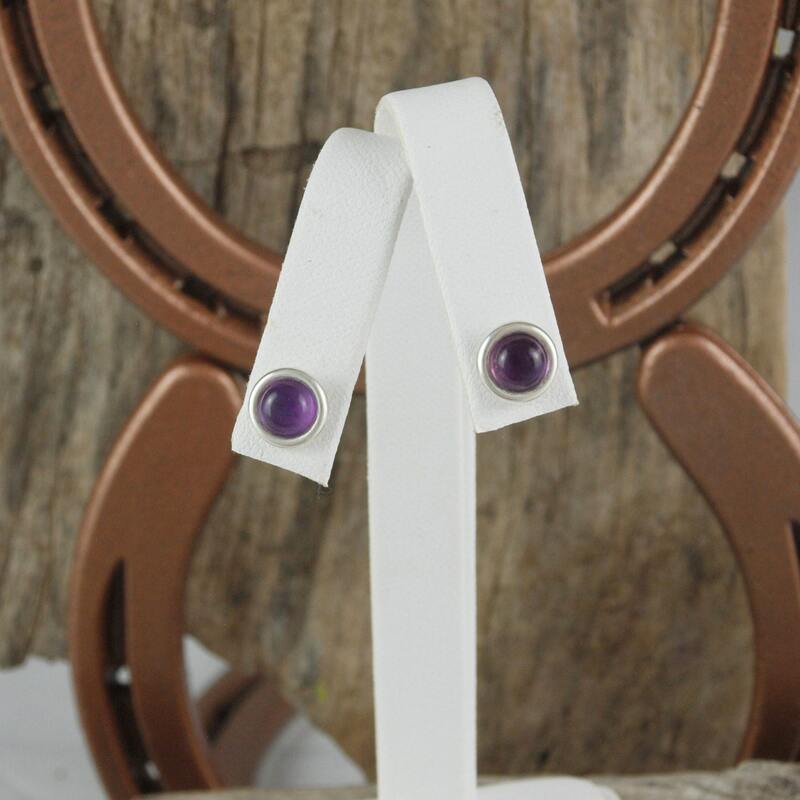 These are a quality pair of earrings that will make an excellent present, especially when paired with one of our Amethyst pendants. 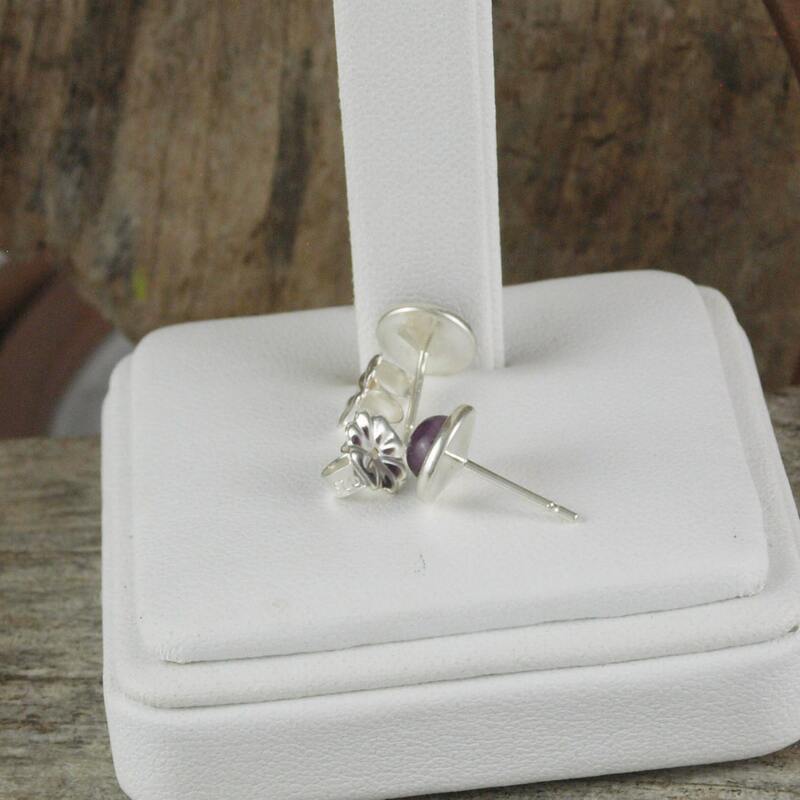 As with every pair of earrings we sell, we will ship your pair of earrings in an elegant gift box for no extra charge!